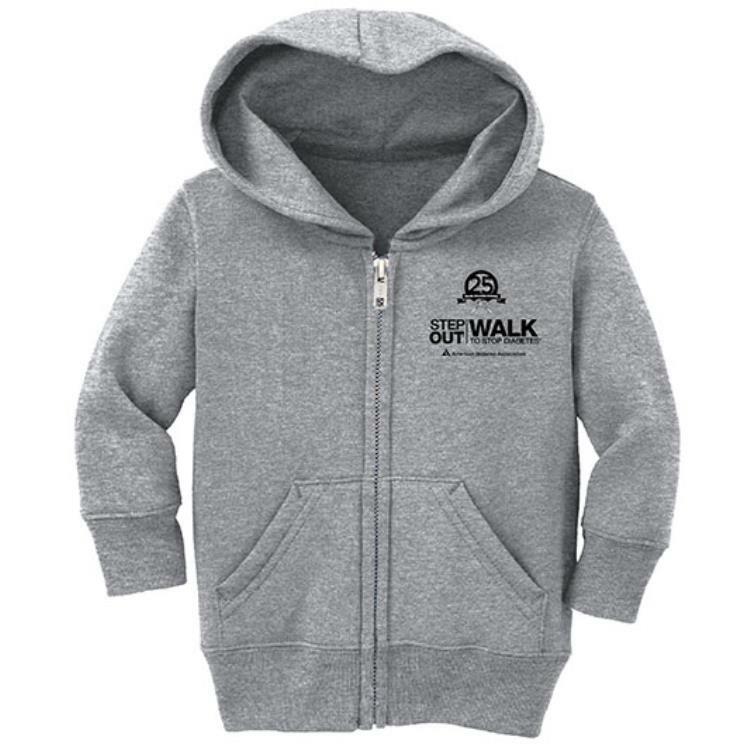 7.8 ounce, hooded sweatshirt designed for infants, imprinted with 25th anniversary Step Out logo. 7.8 ounce, hooded sweatshirt designed for the smallest family members. Color-coordinated with our adult version, 7.8 ounce, classic sweatshirt. 7.8 ounce, 50/50 cotton/poly fleece. Air jet yarn for a soft, pill resistant finish. Jersey lined hood. No draw cord at hood. Set-in sleeves. Cover seamed arm seams and waistband. Rib knit cuffs and waistband. Front pouch pockets. YKK metal zipper. Athletic Heather is 90/10 cotton/poly. Imprinted with ADA 25 Years Walking Strong Step Out Walk to Stop Diabetes logo.